This is a great app that will keep the youngsters amused for hours. It will help them become familiar with everyday things in the garden such as Ant, Ball, Bee, Beetle etc etc. Press next and back to work your way through the words and press the word to hear it spoken in a perfect English voice. You can press the word as many times as you like. Kids love this technique. Not only is it a fun way to learn but it will also help with spelling. 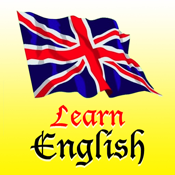 This app is also very good for young English speaking children who need additional speech therapy. Kids thrive on praise and they soon learn how to sound all the words featured within the app whilst becoming familiar with the correct spelling.